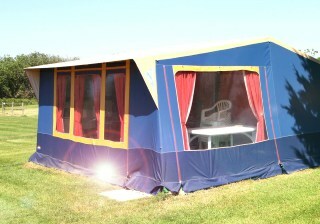 Like the idea of camping, but not the canvas! each with a lovely raised decked area and a parking space. 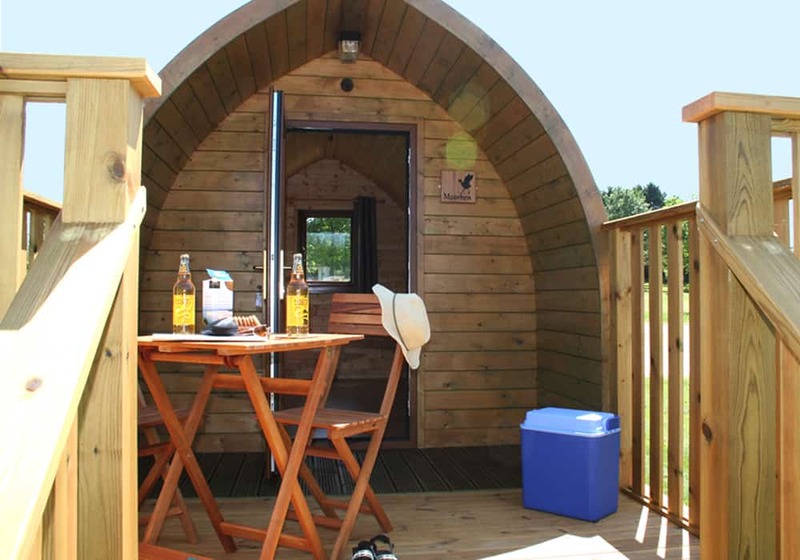 Our Glamping Pods provide the ultimate back to nature holiday experience. Sleeping 2 people, they are a cosy, snug, (or romantic) getaway. Wake up refreshed and take a shower in our award winning amenities. 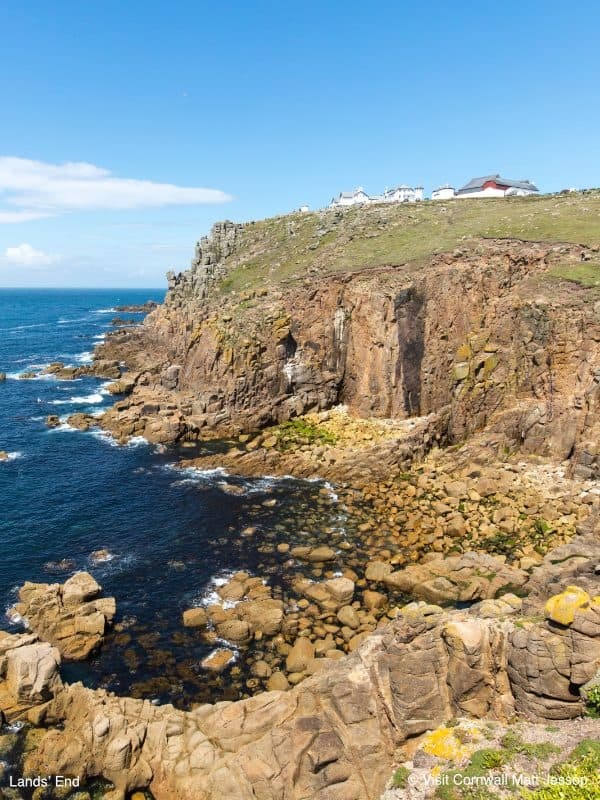 Once you’re ready for the day, just lockup your pod and maybe take a stroll around our Nature Trail and Lake Meadow, or venture out and start to explore Cornwall. 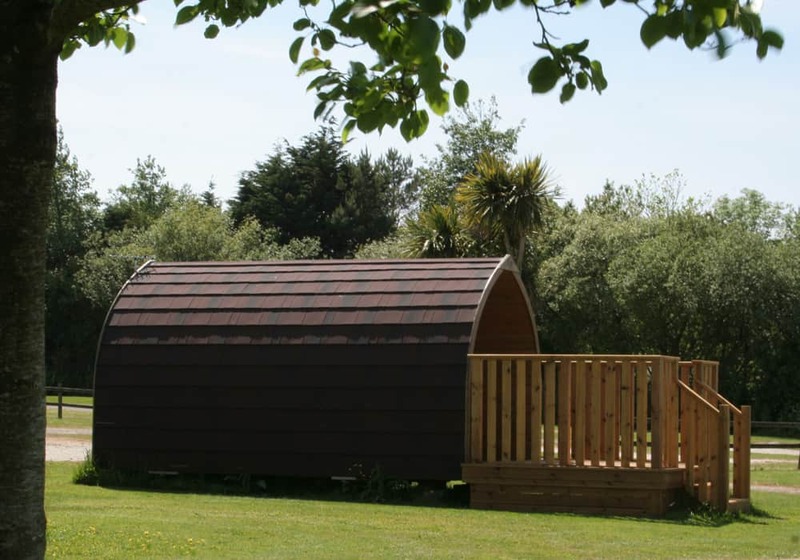 Each wooden log pod (Heron or Moorhen) is a spacious 4.8m long and 2.49m wide, furnished with a TV unit, shelf unit, bedside tables and curtains. There is a small wooden table and two chairs, which can be used inside or out. 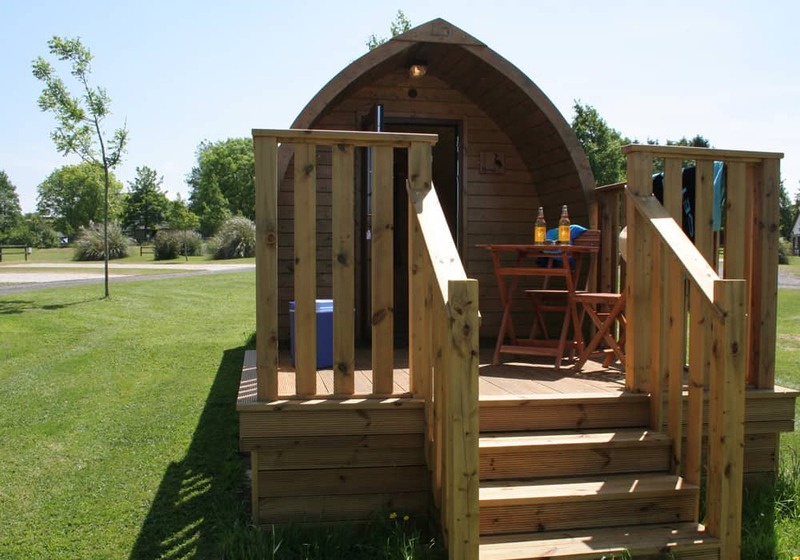 The interior has a wooden laminated floor and the pod comes complete with an outdoor decking area for enjoying relaxed summer evenings. 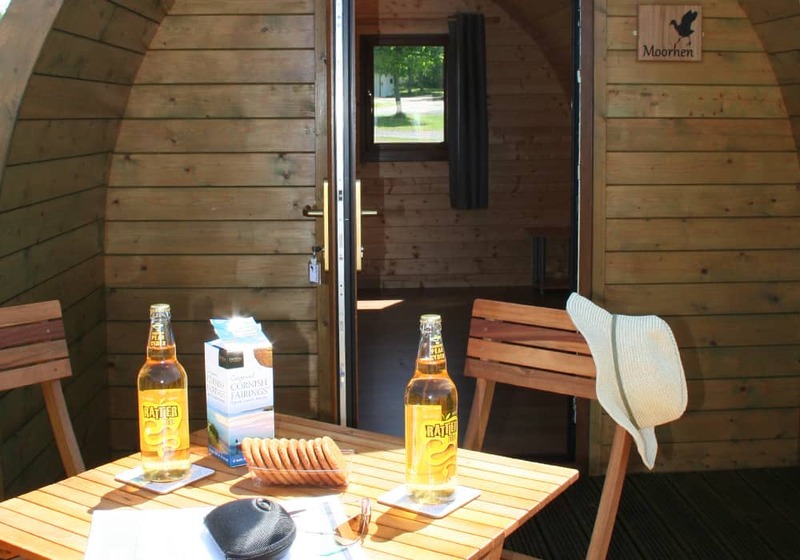 Our luxury log pods are built from wood, are insulated for warmth and have a metrotile roof. 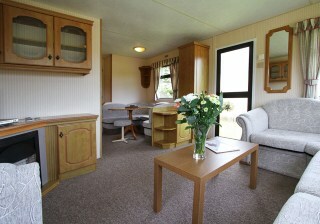 Inside sockets are provided (electricity is included in the price), together with a Freeview TV, DVD Player, Kettle and cool box. Take your free hot showers in our park’s amenity building. 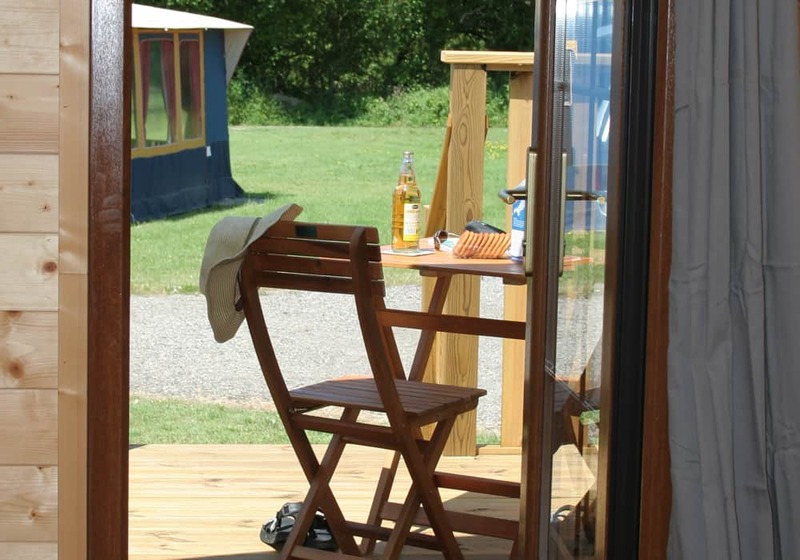 There is an exterior light in the porch as well as two spotlights inside the pod. The double glazed front door is lockable for peace of mind and there is a double-glazed window at the back. Parking space for one vehicle is provided. For safety there is a smoke/carbon monoxide detector, fire blanket and small extinguisher. 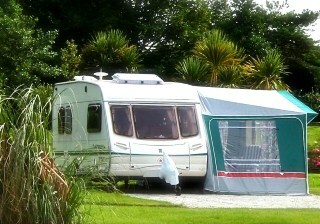 Click here for a pdf plan of our holiday park. Ice PacksRemember to bring everything you would bring if you were camping in your tent, except for the tent! 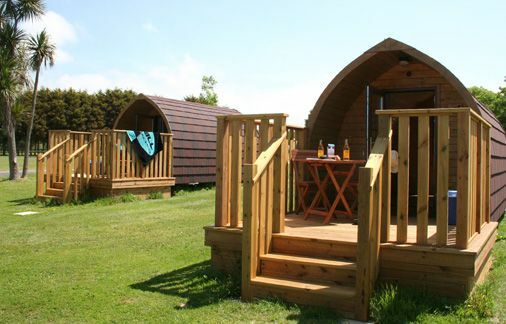 Glamping Log Pods strictly sleep a max of 2 persons in total (inc. children and babies). Pup/day tents or gazebos are not allowed in our Log Pod Area. 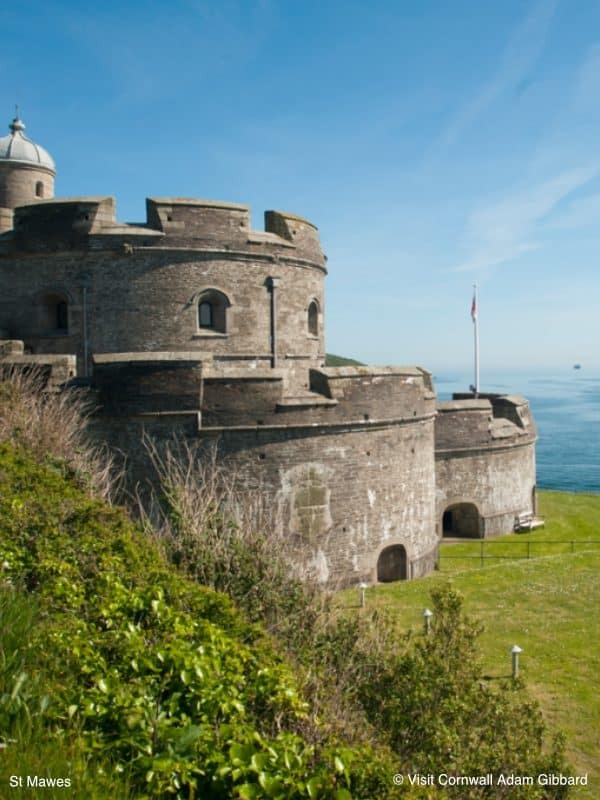 Prices inc. ONE vehicle, an additional vehicle is chargeable at £6 per night. 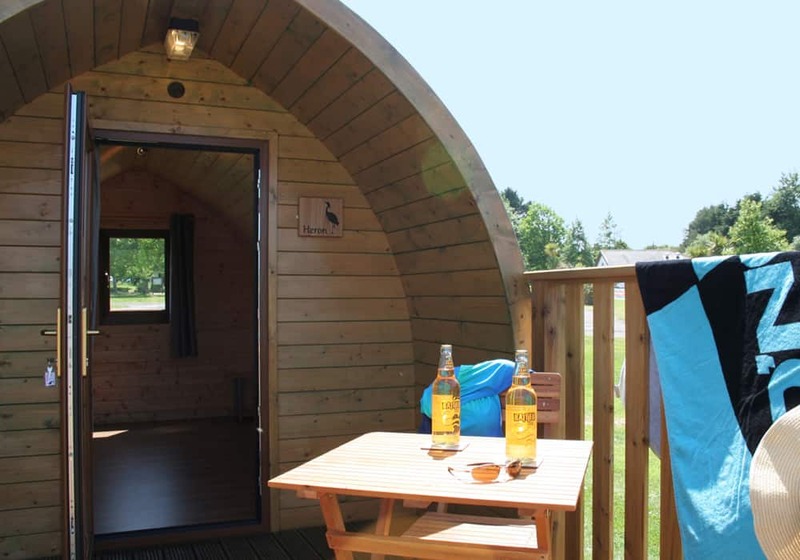 Myself and my partner came to try "glamping" in one of the camping pods. We travelled by train, bus and skateboard from London with a lot of gear on us. 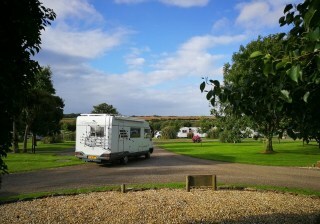 When we arrived we were greeted by the very friendly family that owns the campsite. When we told them we didn't have a car, they all pitched in to help carry our bags to the pod! Which we were very grateful for because we had almost missed our train due to how inconvenient our bags were. The first evening there we spent exploring the park, which is so well kept! We sat and watched some ducklings in the fishing lakes and wandered around the meadows, deciding that we should pick up a frisbee especially to come back to the meadow at some point with. 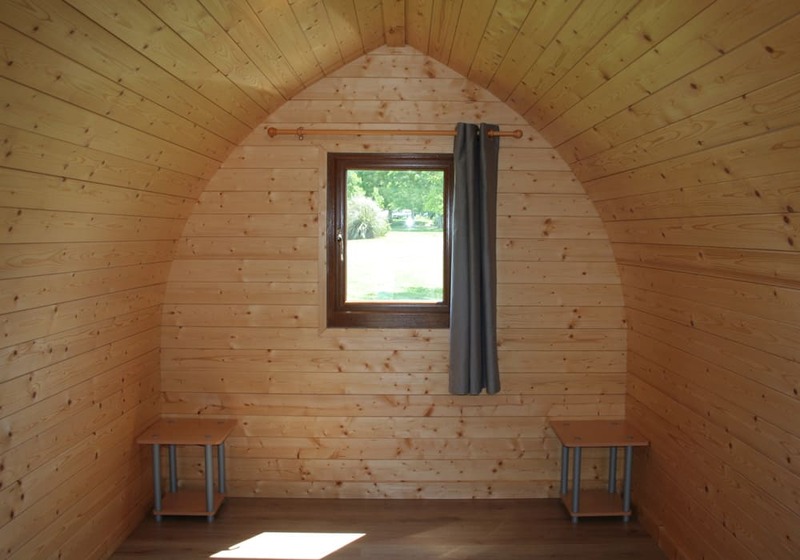 The pod itself was very clean, tidy and cosy - a pleasure to come back in the evenings to. 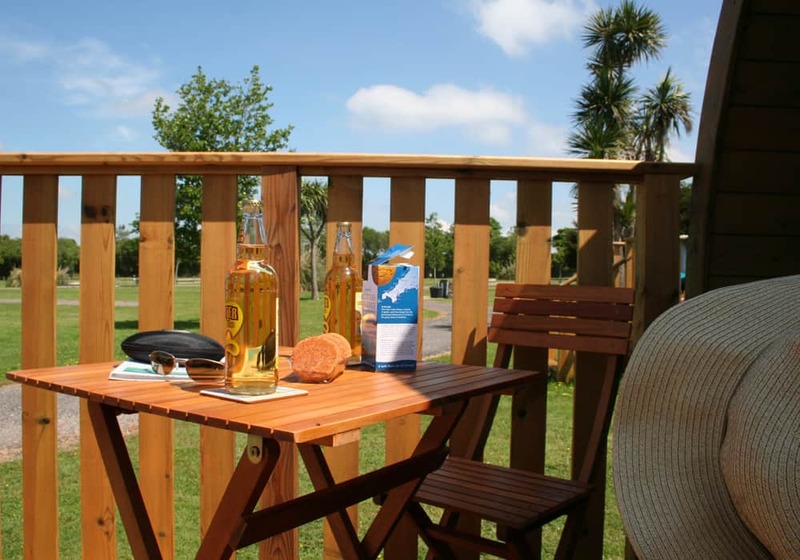 It had a lovely decking area on which we could sit and have a drink. 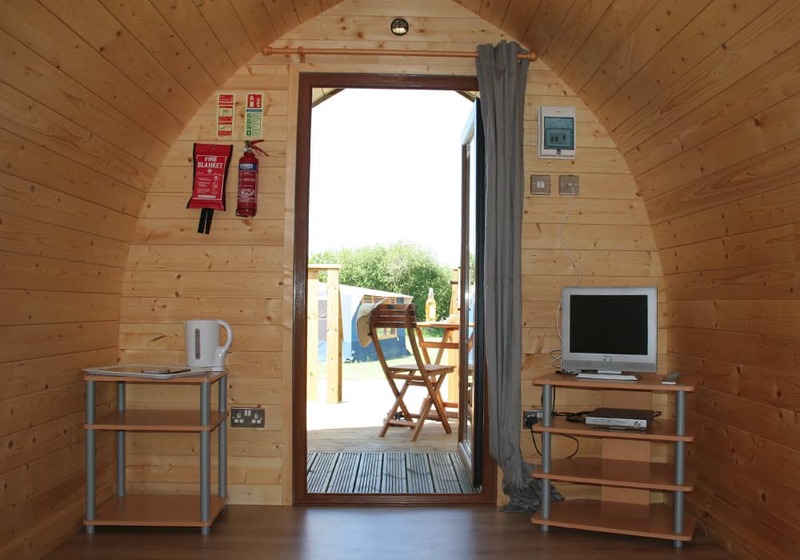 The pod had 4 plug sockets. 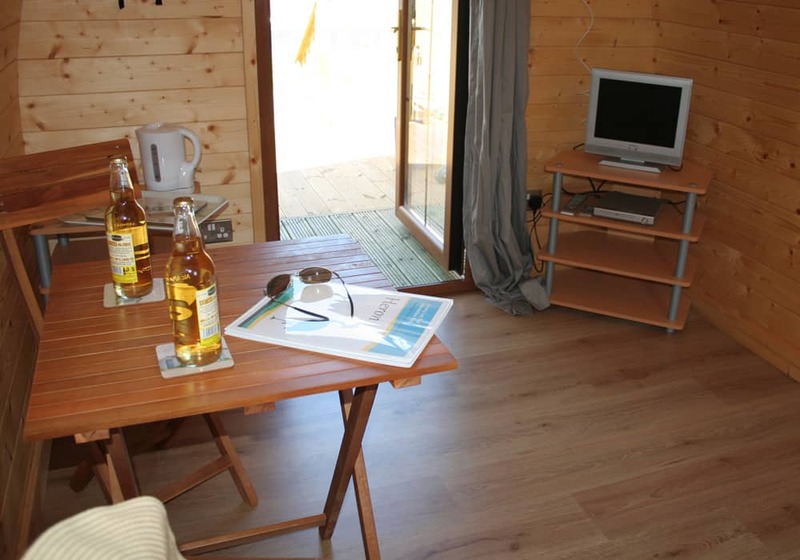 You cannot cook on the decking area or in the pod (there is a block outside for cooking on) and the sink for washing up is right next to the pods. 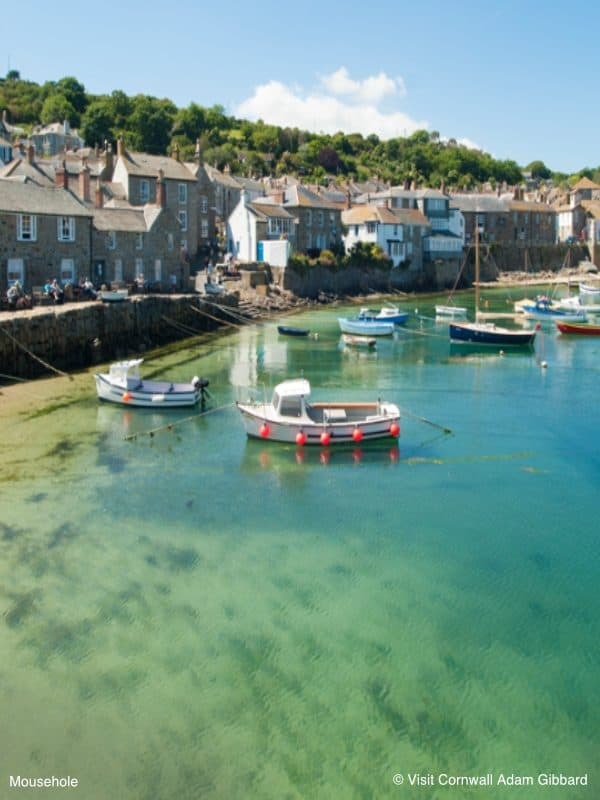 The free wifi isn't fast enough to download photos/videos, but it works just fine for looking up bus times, tide times and other bits of information - which is all we needed it for. If you will be needing internet however, it was also difficult for us to get signal and we could not get 3G (on O2 and 3). 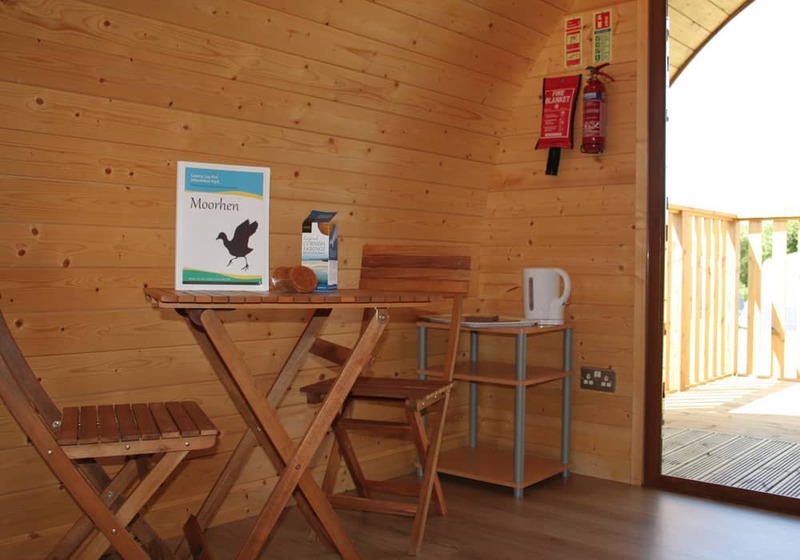 The toilets and showering facilities were situated very near to the pods and were also very well kept, clean and always had hot water. My partner commented that the toilets were as nice as in a hotel! We didn't have a car but the park is a 10 minute walk (or 3 minute cycle) from the bus stop and small Londis shop. 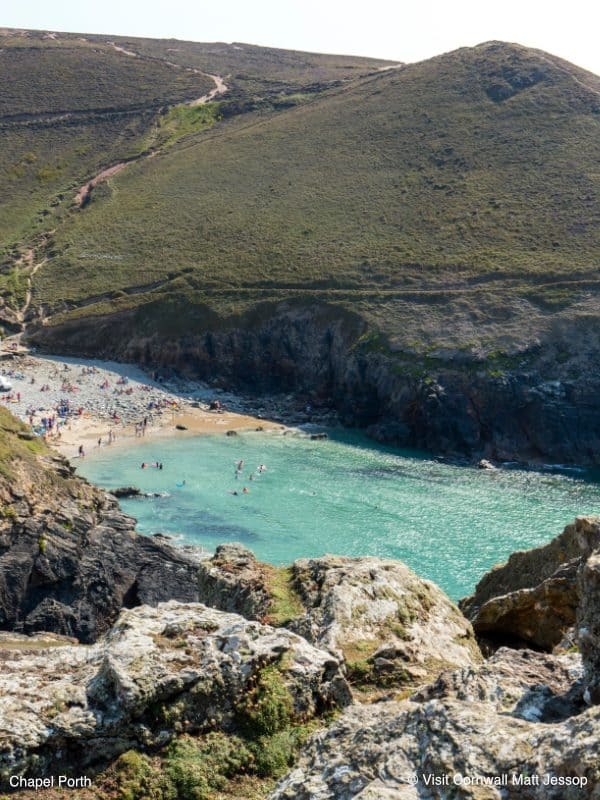 The bus takes about half an hour to get into Newquay. 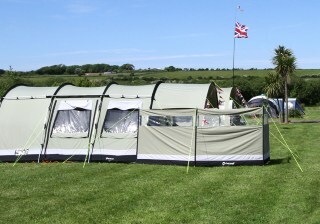 There is also a shop by the campsite and information about that is made clear on arrival.